We supply refrigeration spares and refrigeration spare parts for Anthony glass doors. We have a range of Anthony fridge spares. Anthony are a USA manufacturer of commercial refrigeration display equipment. Commercial Refrigeration Parts can supply the full range of spare parts for Anthony units. Anthony are based in California, USA. We have supplied Anthony parts to Waitrose, Asda, Esso, Shell. We stock a range of essential refrigerator parts for your requirements. 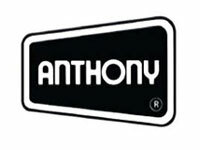 For further information on Anthony, you can visit their site here: http://www.anthonydoors.com/.